Hooray... It's finally done xD. Large thanks to srsn for all the advice and critics on the wall in the Sandbox. I spent only about 2 days on the wall. I tried doing colored outlines for this wall, to make it softer looking. Some of the shading on the character's skin, clothes, etc. were done with some intuition xD. The color choices I based off my old Thank You for Everything wallpaper from years ago xD. I liked the colors I chose from that time. 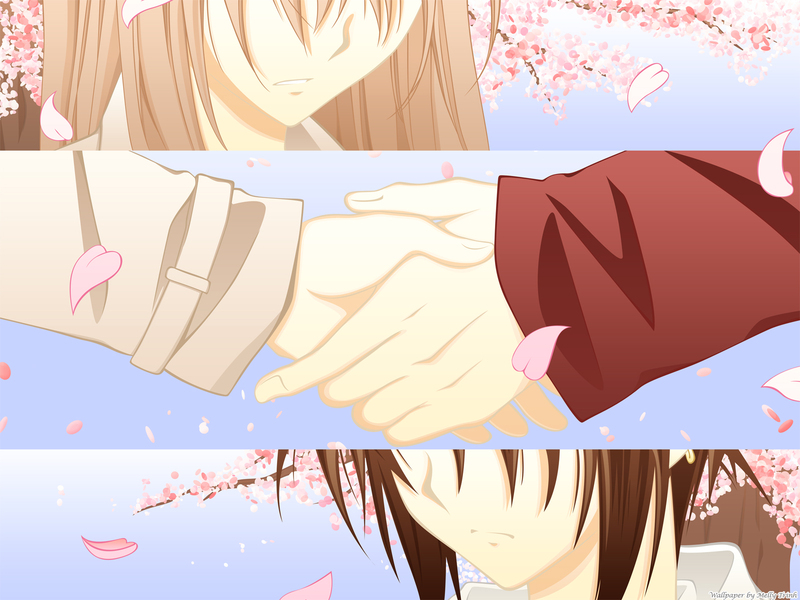 For the background and cherry blossoms, I just drew random sketches and vectored the branches and the large petals. The rest I relied on messing a little with the normal brush setting to make the small petals. soo the widescreen is different ffrom the fullscreen eh? nice! you're welcome! I'm glad to have helped.